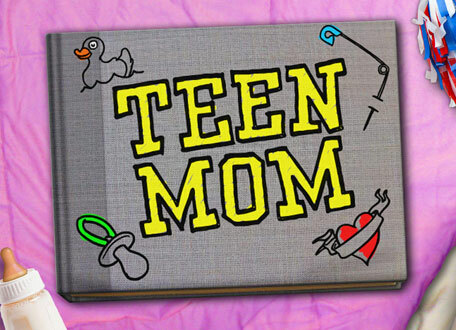 I’m not sure if I want to hug them, slap them, or be them, but the fact is that the Teen Moms have invaded my DVR and my very soul. I watch this for research. Don't judge me. It started out with a few episodes here and there of 16 and Pregnant, MTV’s documentary-style program about girls who are–you guessed it–sixteen and pregnant. The show follows one wayward teen per episode as she goes about her rapidly-changing life attempting to make her situation work out in the most successful way she can for herself. Some have shotgun weddings, others consider adoption, but most cling to their babies for dear life and stumble along trying to make teen motherhood work for them. As an aside, I would like to point out that just about every episode of this show is like a snapshot of life in my small-town high school, so while it might be a train-wreck to watch, nothing really shocks me anymore. I know plenty of girls who had babies young–one as young as thirteen if memory serves–and plenty of their lives turned out wonderfully. Of course, not everyone had a success story, but I like to give people the benefit of the doubt. Except when you flaunt your teen-trampiness on-air. Then you’re fair game, sister. I guess in a world of Jersey Shore and Skins (other MTV programs which promote youth trampiness that I feel I am too old to watch and/or understand), the stories about these girls can really be inspirational in a strange way. They have good intentions, for the most part, and that’s something, right? My obsession with 16 and Pregnant quickly spiraled into a madness of watching episode after episode of I Didn’t Know I Was Pregnant and Teen Mom, which is now in its second installment of unwed breeders, Teen Mom 2. I think the husband thinks that I watch these programs looking for tips on how I might follow in their fertile footsteps, but really I just like to see how others handle pregnancy in the hopes that I will someday have their experiences to draw upon. It’s the same reason why I watched Say Yes to the Dress with reckless abandon before the husband and I were engaged… I suppose it doesn’t explain why I still record every episode that airs, though. Heh. Well that’s my excuse and I’m sticking to it. It’s not like the husband is a high-stakes crab fisherman, and I don’t dog him for watching The Deadliest Catch. So sue me, I like crappy TV. I guess it could be worse… I could be into illegal narcotics, unemployed and on welfare. Actually, come to think of it, those women don’t seem to have any problems getting pregnant… Maybe I’ll run the idea past the husband. We might be onto something, folks! If I see that 16 and Pregnant is on, I can’t help but watch it. I have no idea why, it ends up depressing me. Not necessarily because they are pregnant and I am not – but more so because of the circumstances that some of the babies are going to be raised in. Meh. It is terribly depressing, I’ll give ya that. Anytime someone “accidentally” creates a human life that they’re not sure they ever really wanted, a little part of me dies inside. For every hour of Teen Mom I watch that destroys my soul, I have to watch like six hours of kitten videos on YouTube to heal it. I am in total agreement of everything posted. I too watch all versions of 16 & Pregnant, Teen Mom, I Didn’t Know I was Pregnant (… which I STILL don’t understand…), etc. etc.. I don’t really like A Baby Story on TLC because it’s too… um… nice? I like drama and grit and crying babies. I guess I feel like if I can’t have a baby, then those moms who get pregnant accidentally or unknowingly should have SOME suffering. Anyway, your post cracked me up. 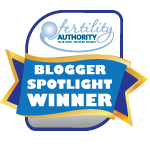 You’re a talented blogger, snarkiness and all!